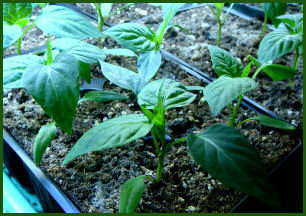 Why start pepper plants from seed? In addition to the three colors of bell peppers and choice of jalapeno or cayenne offered at your local box store, you'll find an enormous range of choices available from seed. Whether you love the hottest of the hotties or the biggest sweeties, you can grow an assortment perfectly tailored to your tastes and your garden. 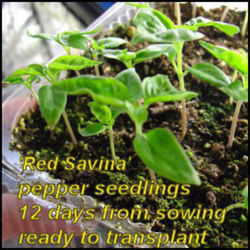 Peppers are easy to start from seed. Even if you sow them in pots on a windowsill, without heat or lights or precautions against damping-off, you'll probably end up with some plants for your garden. The following tips and tricks can speed up the process and create stronger, sturdier pepper plants. Selecting your seed is the first (and possibly the biggest) challenge. If you're new to growing peppers, you'll be amazed at the varieties available at seed racks, in catalogs, and on online websites (including our own DG Marketplace). If you have a short summer season, be sure to look at the "days to maturity" in the description. 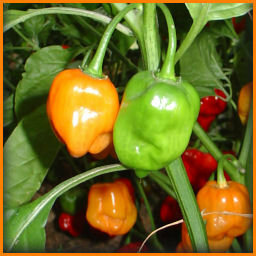 With peppers, that's the time from planting out seedlings to harvesting the first green peppers. Ripe peppers will take a couple more weeks. With peppers, unlike tomatoes, you may notice little difference between the flavor of heirlooms and hybrids. In some areas, you may need to choose more disease-tolerant varieties, such as hybrid TMV (tobacco mosaic virus) tolerant bell peppers. Hot peppers seem more resistant to pests and diseases, but hot hybrid varieties may still offer increased size and yield. If you're mostly familiar with bell type peppers, you might take a look at some non-bell varieties. When should you start your seeds? Begin by deciding when you'll plant the pepper in your garden. Pepper plants will survive as long as there's no frost or freeze. However, if you plant them out before the soil warms, they will just sulk. It's better to leave them inside under the lights if the weather is still cool. A good rule of thumb for peppers is to plant them out at least a month after your average date of last frost, or 2 weeks after setting out tomatoes. Count backwards on your calendar to find your seed starting date. I start sweet peppers eight to ten weeks before planting out. Hot peppers are sometimes a little slower, so they get a twelve week head start. 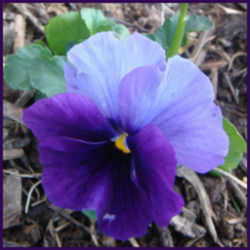 Here, I transplant them into the garden around Memorial Day, so I'll start sowing seeds the first week in March. Soaking pepper seeds speeds germination. Try a two to eight hour soak, until seeds sink to the bottom of the cup. Although you could use plain water, a solution of hydrogen peroxide or weak chamomile tea may help to break down the seed coat as well as to disinfect the seed. Use one to two teaspoons of standard 3% hydrogen peroxide per cup of warm water. Although you could sow your seeds into individual pots, managing moisture levels is easier in a seed starting tray. Seed starting trays don't have to be high tech. I punch holes in the top and bottom of a shallow take-out container with a clear lid. Sow seeds at least half an inch apart in an inch or two of barely moist, sterilized potting mix with a pinch of added polymer moisture crystals. Lightly cover the seeds, or just press them down onto the surface of the mix. Peppers love heat and seem to germinate best at around 80 degrees. Most pepper seeds will still germinate at cooler temperatures, but they'll take longer. The first year I used a seedling heat mat, I was amazed when habanero seedlings were ready to transplant twelve days after sowing, less time than they'd taken just to germinate in the past. Lights ensure stocky seedlings. As soon as you see the first sign of sprouting, if not before, put your seed starting tray under lights. You don't need fancy grow lights for seedlings; inexpensive cool fluorescent "shop" lights will work fine. The lights should be as close to the developing seedlings as possible. 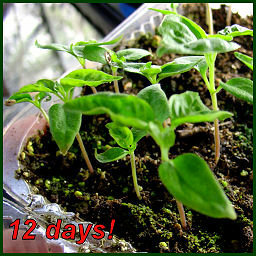 Transplant your little pepper seedlings when they have two pairs of true leaves. If you have room for four inch pots, that's fine, but pepper seedlings will do fine in two inch pots. I use 606 deep sheet pots, extra tall cell pack inserts that come 36 to a tray. I can grow a lot of peppers on one light shelf! 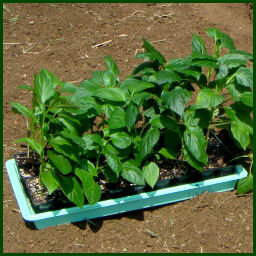 Handle little seedlings gently by their leaves, planting them a little lower than they were growing in the seed starting tray. Water them in, and put them back under the lights. As when you soaked the seeds, adding chamomile tea or hydrogen peroxide to the water may be useful. Bottom watering from now on is best and will help prevent damping off. Harden off your plants before planting out in your garden. I space peppers 12 to 18 inches apart, depending on the variety. 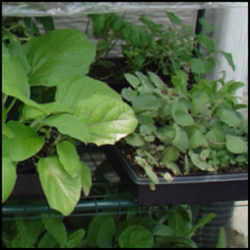 Close spacing often allows the plants to support each other, with no need for caging. 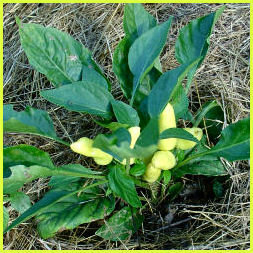 Grass clippings or straw makes an excellent mulch for peppers. 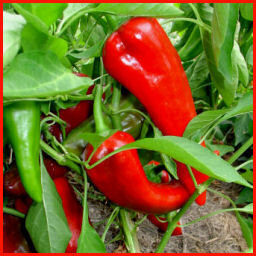 Although plants may tolerate some dryness, you'll get more peppers if you water them regularly. As with any gardening topic, there's no "one true way" to start peppers from seed. You'll find a wide variety of tips and techniques shared in the Pepper Forum (subscribers only) and in the Beginner Vegetable Gardening forum. I hope you'll pick pecks of peppers from your garden this year, with the added satisfaction of knowing you grew them yourself, from seed to harvest. Photos by Jill M. Nicolaus. Move your mouse over image and links in this article for captions and additional information.